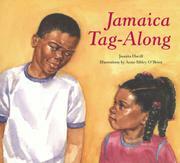 When Jamaica (of Jamaica's Find, 1986) wants to play basketball with her big brother Ossie and his friends, he scornfully excludes her. So she retreats to the sandbox, where a toddler, Berto, volunteers help with her sandcastle. At first, Jamaica rejects him as she has been rejected; then it occurs to her that it would be nicer to accept help than to hurt Berto's feelings. When Ossie's game is over, he joins them--and Jamaica welcomes him. This simple but important lesson is attractively illustrated in realistic watercolors, most of them broad double-spreads that draw the reader in and are large enough for use with groups.